home/ » CAN I REPLACE THE ROOF OF A LISTED BUILDING? When you read almost anything on home improvement, the top note added to it will be something along the lines of ‘doesn’t apply to listed buildings’ or that listed buildings are different to all other types of property. 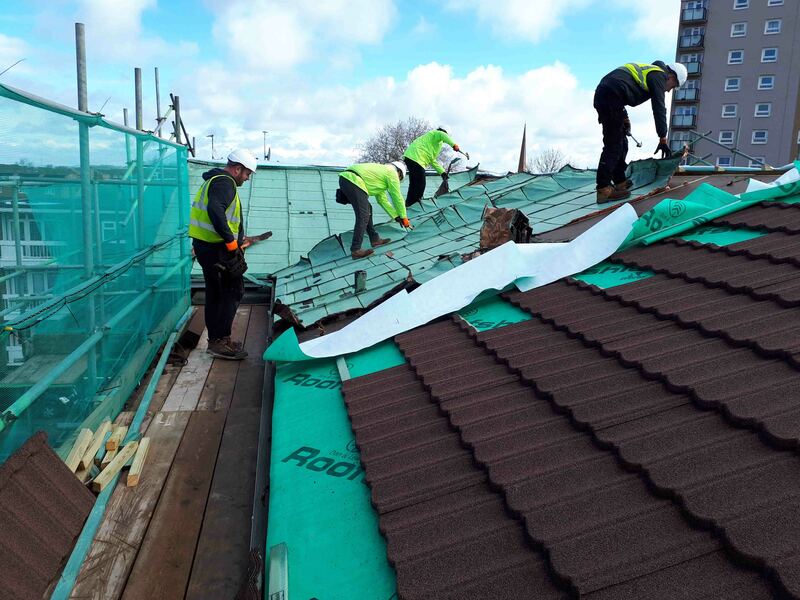 While this is the case and there are more rules that apply, this doesn’t mean you can’t replace the roof on a listed building if you follow the right process. A listed building is a property that has been protected by English Heritage due to a number of factors. It could be of historical significance, the site it is located on, its architecture or even that a particular event took place there. Lots of public and religious buildings are listed but as are a lot of houses. There is a grade system used depending on how important a building iswith Grade I being the most important and Grade II and II* having a little more flexibility. All owners are bound by the Town & County Planning Act 1990and the Planning (Listed Buildings and Conservation Areas) Act 1990. These prohibit alterations to the character of the building – this can mean different things depending on why the property is listed. For some, it may mean you can replace the roof or add an extension while others everything including internal fixtures must be kept the same. If you want to alter or extend a listed building in a manner that might affect its character, then you need to apply for listed building consent – this usually applies to changing the design, material or colour of the roof of the property. It may also be required for building work within the grounds of the property, depending on what it is listed for. Listing building consent is a form of planning control that protects listed buildings. It is a criminal offence to carry out work on a listed building without getting this permission first. It is also not possible to make an outline application for permission for a listed building – only a full and comprehensive detailed plan can be submitted for consideration. Getting permission for the work you want to do can be a lot more complex for listed buildings than for other properties but that isn’t to say that it can’t be done. It may involve a bit more compromise with the planning department to get the project accepted. One tip is to use a reputable supplier for the materials that you plan to use. Metrotile, for example, has been in business for over 40 years and first started creating lightweight roof tilesfor New Zealand homes, where weather conditions can be extreme. The company has also worked on a number of listed buildings across the UK, so this experience will be a positive factor in your application. Metrotile’s lightweight roof tilesare available in different colours and styles making it easier to provide a good match to the original materials used on the listed building. This helps maintain the character of the building and increases the chance that your roof replacement project will be accepted. To find out more or request a free quotationget in touch with Metrotile by calling us on 01249 658 514 or fill out our contact formfor a quick response.